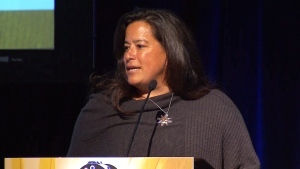 MPs Jody Wilson-Raybould, Jane Philpott speak at forum in B.C. 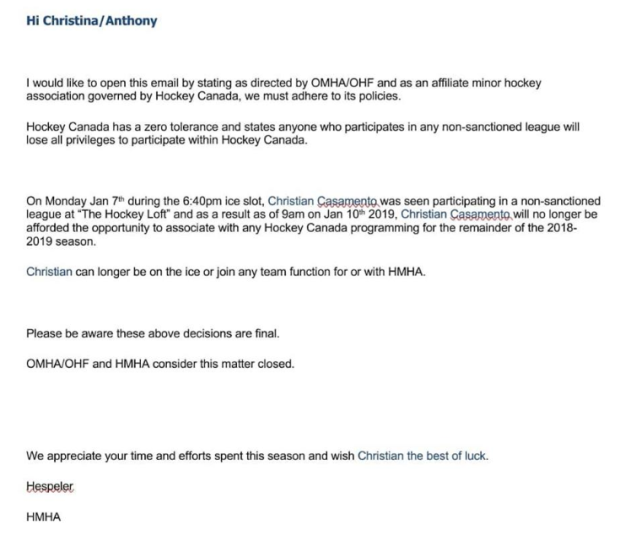 At least three 7 year olds and a coach have been kicked out of the Hespeler Minor Hockey Association. All four participated in a non-league sanctioned event. Anthony Casamento, whose son plays with the Cambridge league, says he received a letter last week informing him of the decision. Christian is also prohibited from attending the year-end banquet with his team. The association says in the email that the decision is final, but according to president of Hespeler Minor Hockey John Murray, the decision can be appealed through Hockey Canada. "Through the appeal process, players, and those who support non-sanctioned leagues in other ways, can apply for consideration for immediate reinstatement into their sanctioned league," Murray said in part in a statement. The price of that appeal process can amount to almost $1,000 just to get a hearing. 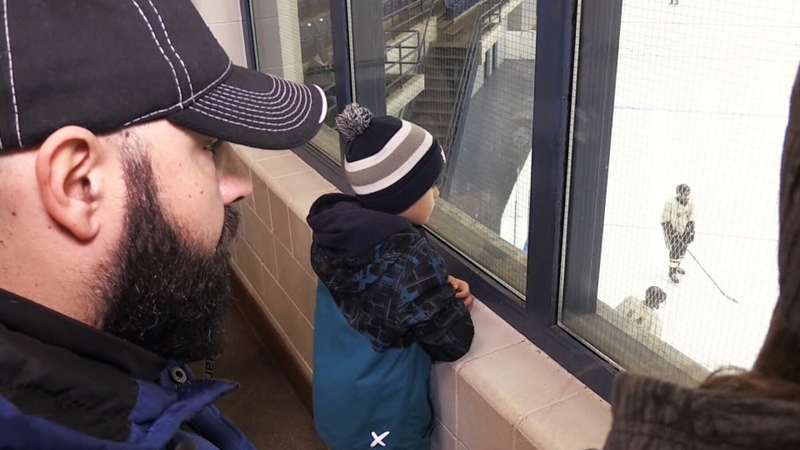 Parents for the players said they just wanted their child to get in a little extra ice time. The Hockey Loft offers a training program for young players, as well as men’s, women’s and co-ed hockey leagues. Chris Walsh’s daughter was also told she’s no longer allowed to play with her team this season. She was even asked to give back her jersey. Since Chris is also a coach for his son’s team, he lost his coaching privileges. In the email, the league says that, as an affiliate of Hockey Canada, it must adhere to its rules. John Thomas works at The Hockey Loft and says Hockey Canada is just protecting its monopoly. In his statement, John Murray explained that players who were successful in their appeals would be welcomed back into the league. "It is our understanding, that in order for reinstatement to be considered, the player, and those who support non-sanctioned leagues, must, at a minimum, agree to immediately cease all participation in any non-sanctioned league," he said in part. Otherwise, he said, players who appeal would be welcomed back with open arms.